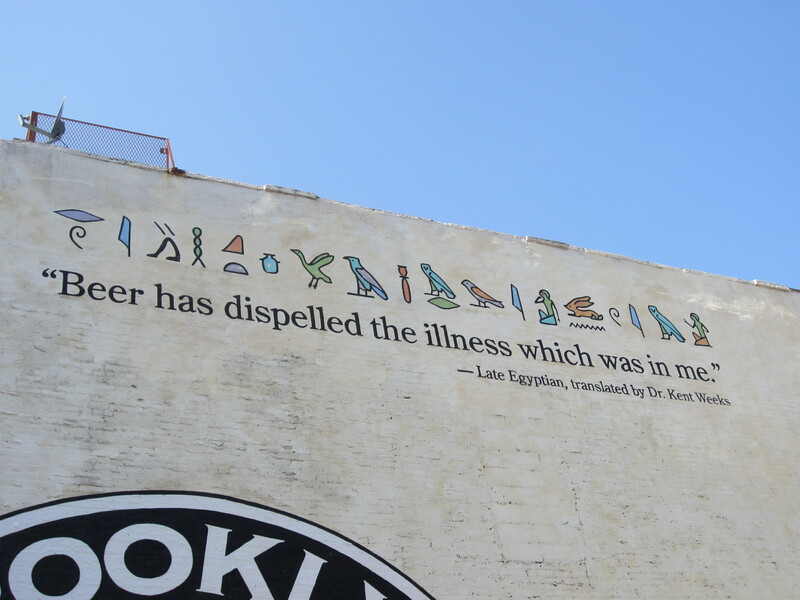 1) Just like many other beer enthusiasts, the owner of Brooklyn Brewery started off his business by home brewing. 4) Milton Glaser, the graphic designer who made “I ♥ NY” logo, also made BB logo. Guess how did he wanted to get paid for the logo?!! He got BB beer for FREE for REST OF HIS LIFE and, of course, some shares of the company. 6) BB uses New York City tab water to make their beers. If you didn’t know, NYC has the best water supply system in the country (according to the guide). 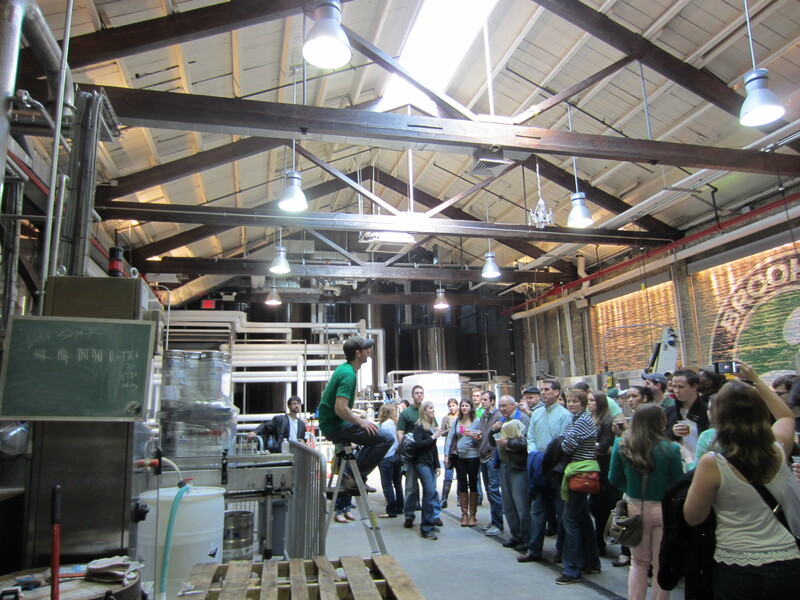 After the tour, as you can imagine, we tried some of their special drinks with bunch of beer enthusiasts. 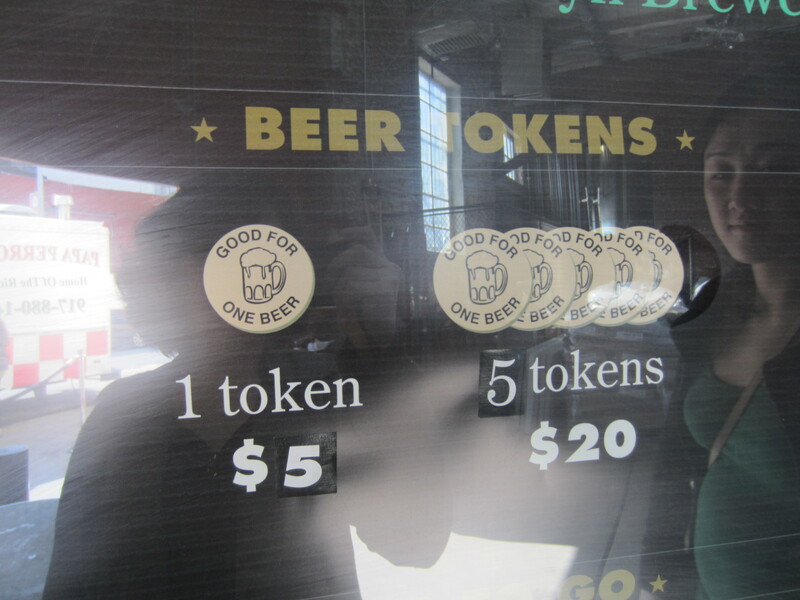 To get drinks, you need to get beer TOKENS! (from a hotelie’s perspective, this looked like a very efficient and smart service operation technique). 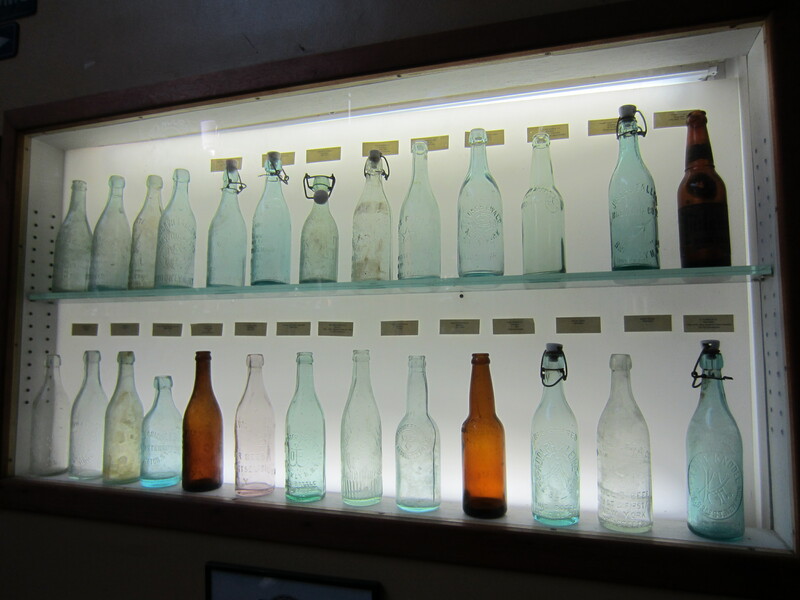 And, they even had a small collection of their old bottles that showed how their bottle design changed over time! This entry was posted in Beer, Reviews.